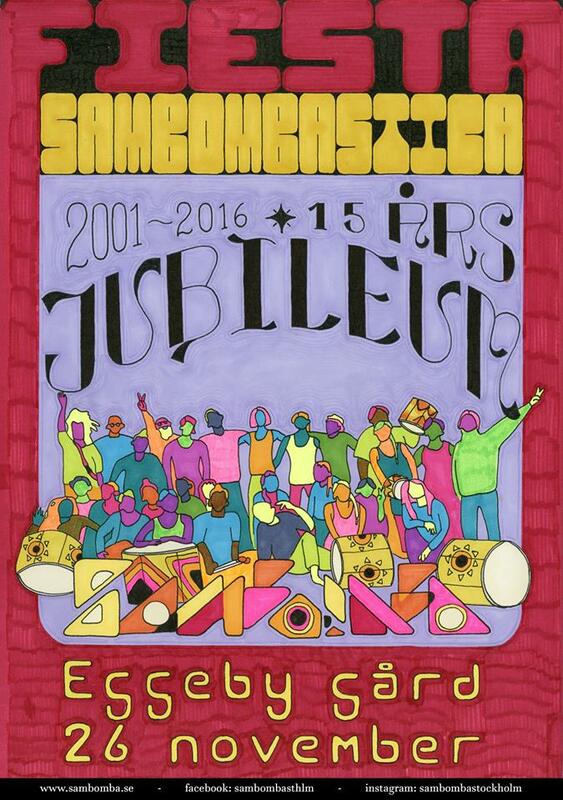 Sambomba is celebrating 15 years as a group. Save the date! 10 minutes walk from Rinkeby. 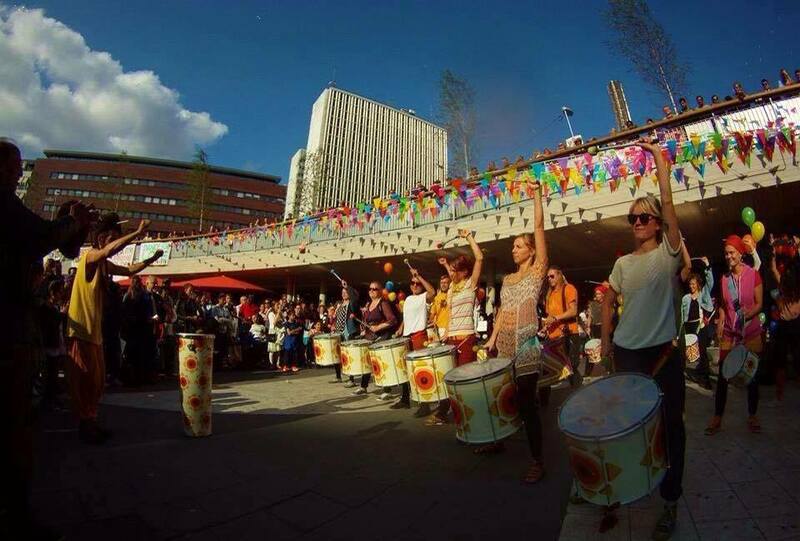 Sambomba is an open percussion group based in Stockholm, Sweden. The group was founded in 2001 by Juan Romero. Juan has a degree in folk music from the Royal College of Music in Stockholm and what he doesn’t know about percussion isn’t worth knowing! Beginners are welcome to join every semester. Classes/rehearsals take place on Saturdays, 2-4 pm in our reharsal studio at Ekelundsvägen 20, T-bana Västra Skogen. The fee for a semester is 1500 kr and is payable to Bankgiro 153-7786. (Don’t forget to include your name when making the payment). You are also welcome to “drop-in” to the first couple of sessions, at a cost of 100 kr per session. Also have a look at our Facebook page (in Swedish). The working language of the group is Swedish, with a smattering of Spanish and English. If you speak “drum” you will probably get by even without a good command of Swedish! You are always welcome to try it out and see. Interested in hiring us for an event? We love to play for an audience! We especially love carnivals and festivals. Would you like us to play for you? Send us an email at sambombastockholm@gmail.com or call Juan Romero on +46 (0)73 760 41 89.